The Office of the National Coordinator for Health Information Technology has introduced a prize competition that aims to determine potential vulnerabilities from the implementation of open source Fast Healthcare Interoperability Resources servers. 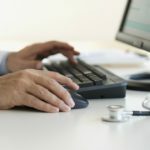 Steven Posnack, director of ONC’s standards and technology office, wrote in a blog post published Oct. 10 the agency seeks participants who can leverage current industry standards and best practices to create FHIR-compliant servers as part of the Secure API Server Showdown Challenge. ONC plans to award a total of $50,000 in prizes to winners of the challenge that will the Server Build Stage and the Vulnerability Discovery Stage. Phase 1 will involve the development and submission of FHIR servers for evaluation based on a technical judging criteria and the participants’ availability to take part in Stage 2. The second stage of the challenge will comprise teams for the Discovery Track that will work to determine potential vulnerabilities from FHIR servers and the Server Track that will review submissions from the Discovery teams.